In this Office Cleaning Checklist you will get an easy way to evaluate your current Office Cleaning Program. So make sure that you get the most value from your Facilities Budget. All you have to do is simply fill out the form download the checklist. 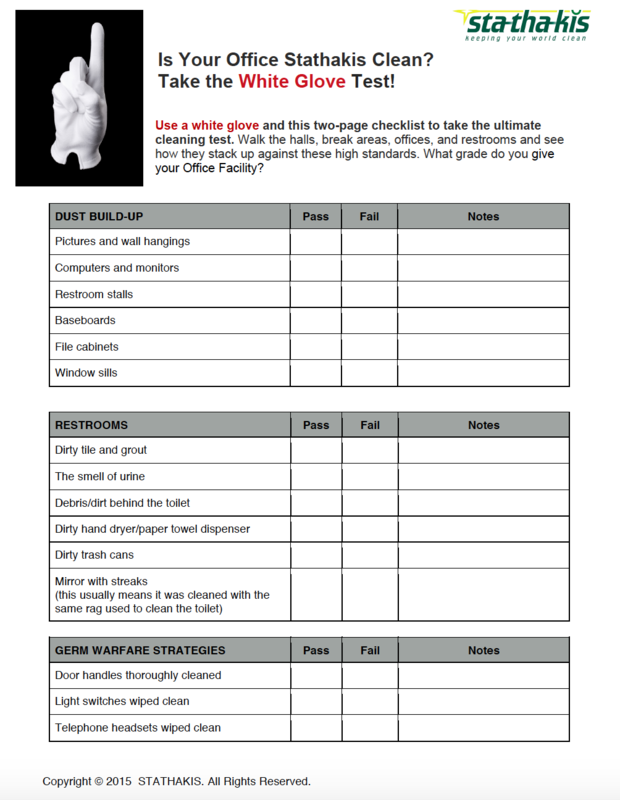 Receive a PDF with checklist to evaluate your Office Cleaning Services. Assign easy numeric score to find out if your current Office Cleaning Program is making the grade. Find out where you need to focus your current Office Cleaning Contractor. Managing Employee Background Checks when outsourcing School Cleaning Services.